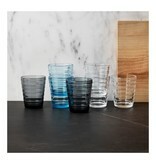 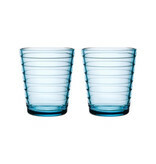 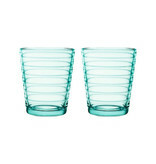 A modern classic, the tumblers are available in several colours and two sizes. 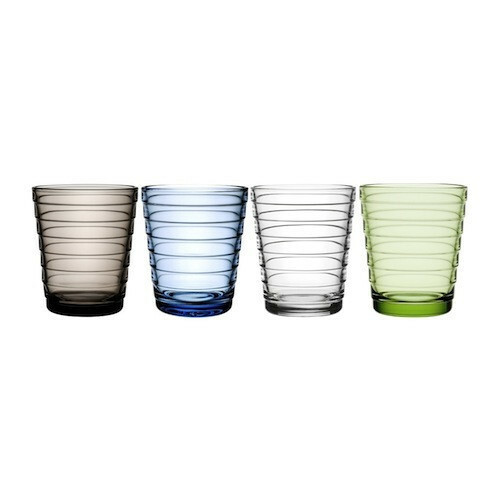 Aino Aalto designed functionalism inspired housewares for contemporary homes. 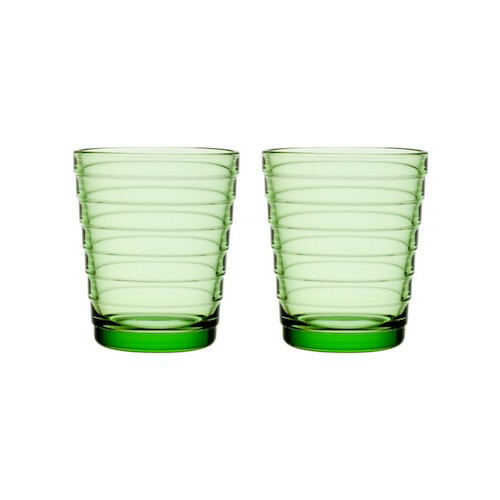 Her approach was steeped in the Modernism architectural style which emphasised an honest use of materials and affordable mass production. 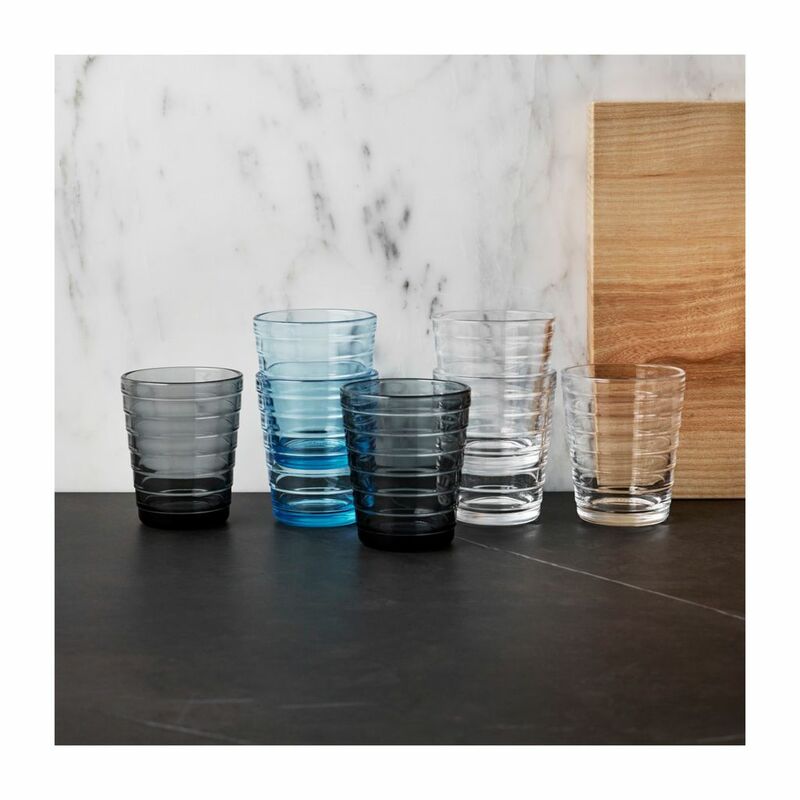 One of Aalto’s most notable designs for Iittala is her pressed glassware, inspired by the circles that form when a stone is thrown into the water. 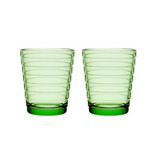 First seen at a design competition held by the Karhula Glass Factory in 1932, Aalto’s Bölgeblick entry won her second place. 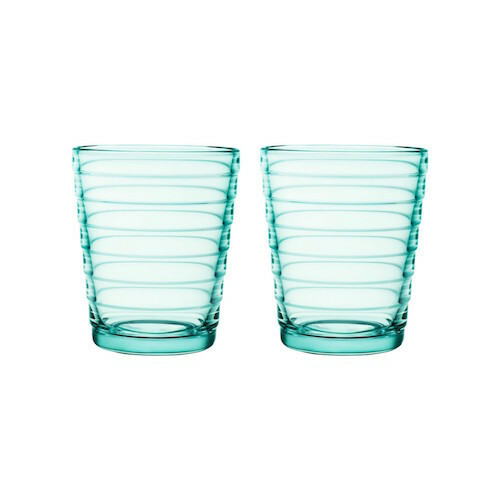 The glassware went into production that same year and continues to prove that essential design survives the test of time. The simple space-saving form permits stacking and versatility while the timeless design still keeps the Aino Aalto series fresh eighty years later.